A black and white negative of Miss. 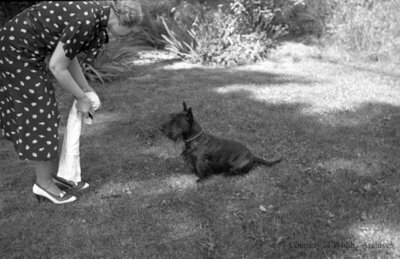 Phillip bending over towards her black dog. Miss. Phillip and Dog, c.1937, Marjorie Ruddy. Whitby Archives A2013_040_176E.